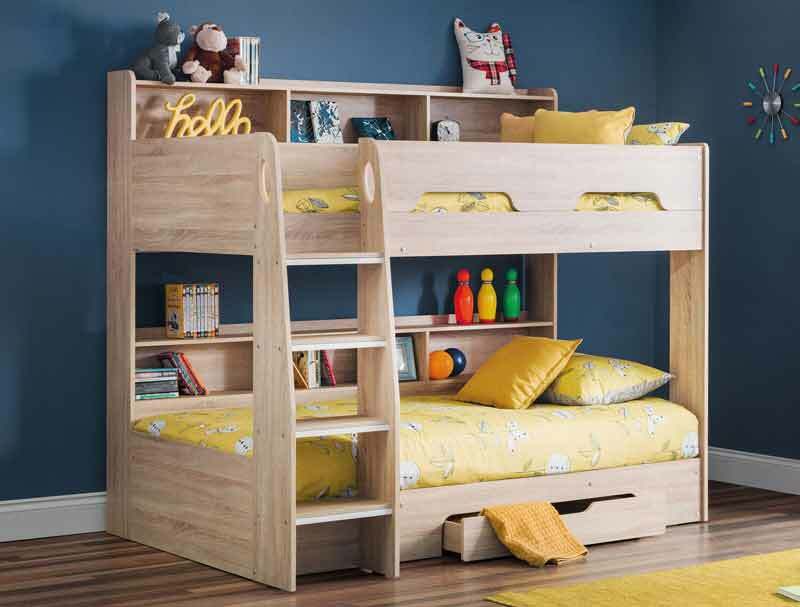 The Orion is a really stylish new children’s High sleeper bunk bed that incorporates a pull out storage drawer with bookcase shelf on bottom bunk and top bunk. 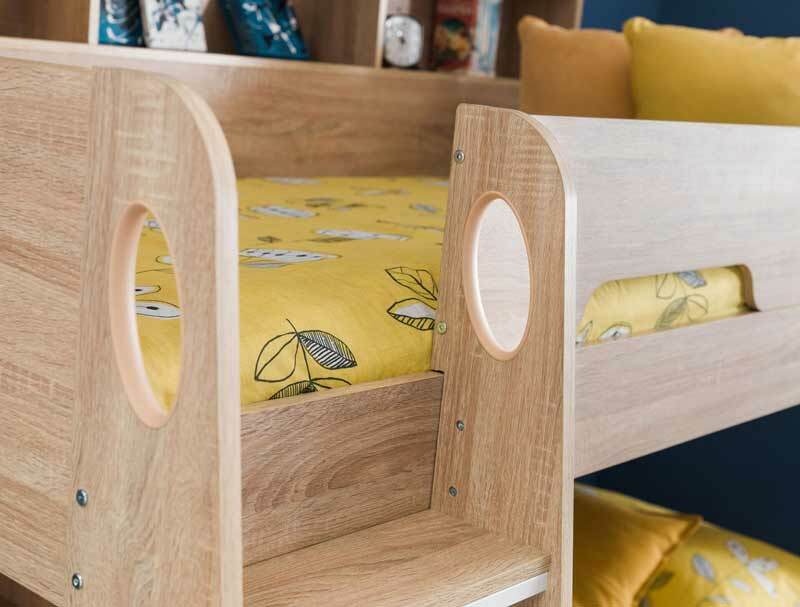 Finished in a Sonoma oak colour finish this bed frame is made from coated particle board similar to MDF and is supplied with solid slats for both beds and is delivered flat packed for home self-assembly. Sorry there is no option for assembly. 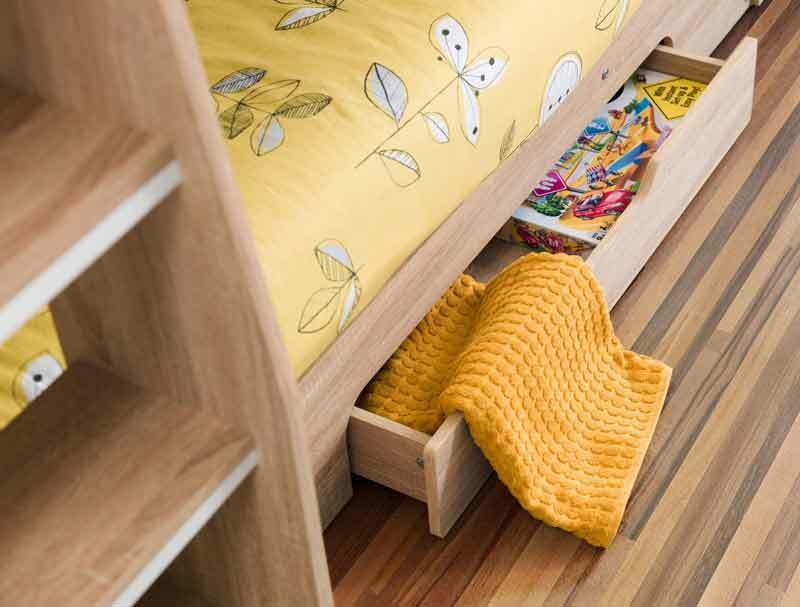 The mattresses are not included but we have added an option for a mattress. Due to the frame size only the platinum or premier coil spring mattresses are offered for this bed. Like all Julian Bowen products this bed frame is delivered Free of charge to most areas in 7-10 working days. England, Wales and lower Scotland are free of charge, please note Central Scotland and Scottish Highlands and other postcodes like LL and SA will incur a delivery charge and an extended delivery period, for more information please see delivery page.